What do you do after finishing a huge project? You think about your next one and make it even bigger. 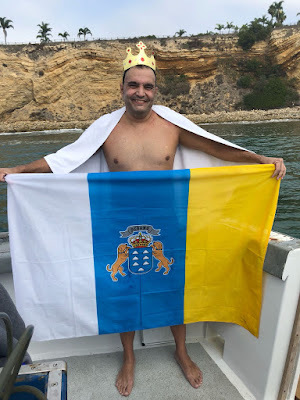 Since completing the Continents Seven, and more recently, the Ice Swimming World Championship, I've been mulling about a new project that would build on the achievements so far, and yet, would be something nobody has done and recognized as one of, if not the most difficult challenge in the open waters ever. I could not come with anything that would fit better than the OCEANS GRAND SLAM. - (Nov'18) Ice KM in Antarctica (first race ever in the 7th Continent): 3rd position overall - video. - (Feb'19) Memphre Winter Festival: 3rd position in the 200 Free (longest distance offered) - video. - (Mar'19) Ice KM in the Arctic (World Championships): 11th overall and 1st 35-39M, with the best time to date for a Spaniard - or American (14'23'') - video. It is again that time of the year when the winter Gods have been blowing and spitting hard, and the water in the Northern Hemisphere is enough cold for nobody to even think about touching it with the toe. Except for the superhuman ice swimmers out there. I’ve had a bit of a break since I finished the Ice KM in Antarctica last November. I can’t believe it’s actually been three months without a single race or big swim, either marathon or ice swimming. But it’s now over, as I prepare for my next big goal: the 3rd Ice Swimming World Championship in Murmansk, Russia, next March 14-17. I had always been reluctant to join a Masters Swimming team. Back in the Canary Islands when we were kids, we used to laugh at them, saying something along the lines – “if you are not good enough to make it to the Nationals, you should retire” (ah, youngsters). Then I moved to Madrid and I joined the “Canal Isabel II” team (now defunct), given that I had swum with some of the guys before. But when you are starting to work in the financial sector in Spain and you leave the office at 8pm you get nasty looks at you, so I didn’t last much in the team. Whenever you say you are an Open Water Swimmer – let alone an Ice Swimmer – people look at you with a deep sense of disbelief and concern. Even other pool swimmers usually ask the ubiquitous and unanswerable question: Why on Earth would you do that? The funny part is that there are no meaningful awards – monetary or otherwise – to be attained. The three most sought after feats (Triple Crown, Oceans Seven and Ice Mile) in both sports hold no physical recognition. In my trophy corner at home, the prize for winning a 2.4-mile race in Turks & Caicos is way bigger and nicer than my English Channel printed certificate. And I can assure you the latter was more painful and expensive than the former. Dream Big. Work Hard. Make It Happen. On November 24th, I completed one of the most difficult projects I’ve ever undertaken. It did not consist of a multi-billion dollar IPO, a complex refinancing process or a cross-border acquisition. It was not even related to my career, but it has taught me more than many years in finance. 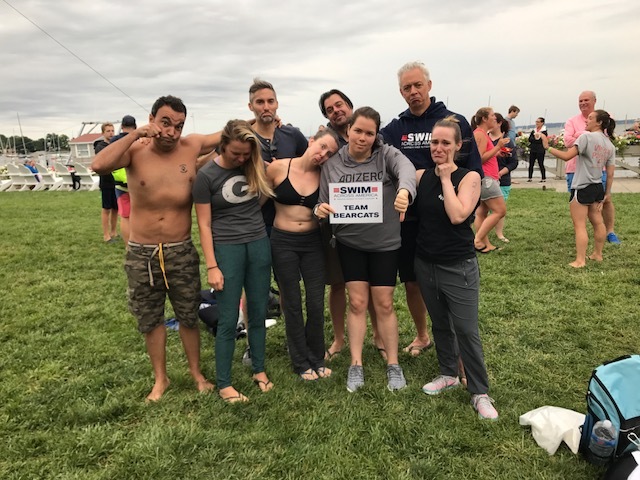 At the end of last year, after building momentum as an Open Water Swimmer, I decided I’d try and become the first person to swim one of the toughest events in each of the seven continents (incl. Antarctica) within the same year. In a purist fashion: no sponsor, no coach and no wetsuit. As a good islander, the Ocean has always fascinated me. It reminds us, every day, that natural elements are more powerful than us. Just like with any job in life, you can put the best training, attitude and team behind, but if conditions are bad that day and it is not for you, it is not for you. It’s been a week since returning from Antarctica, and most of the questions I am getting regarding the Ice KM race are around the recovery. 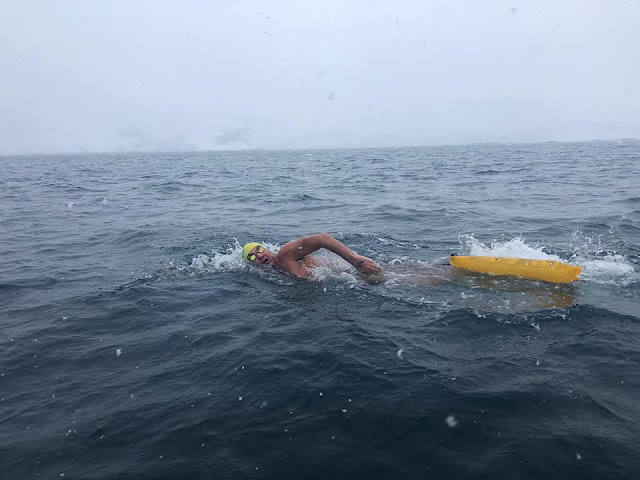 Ice Swimming is still in early stages, and there is not much written on the recovery – worse yet, each swimmer is different and research does not necessarily help with one’s recovery. According to IISA’s rules and regulations, a “Second” is a person accompanying the Swimmer that watches him throughout the event, from the change room to recovery. I was lucky to have Leszek, a Polish experienced ice swimmer as Second, and before starting my swim, he asked me if he could record the recovery process with his GoPro. These are not easy videos to watch, and there are some more dramatic scenes, but the 1-minute clip below can give an idea of what the body goes through after an ice swim.